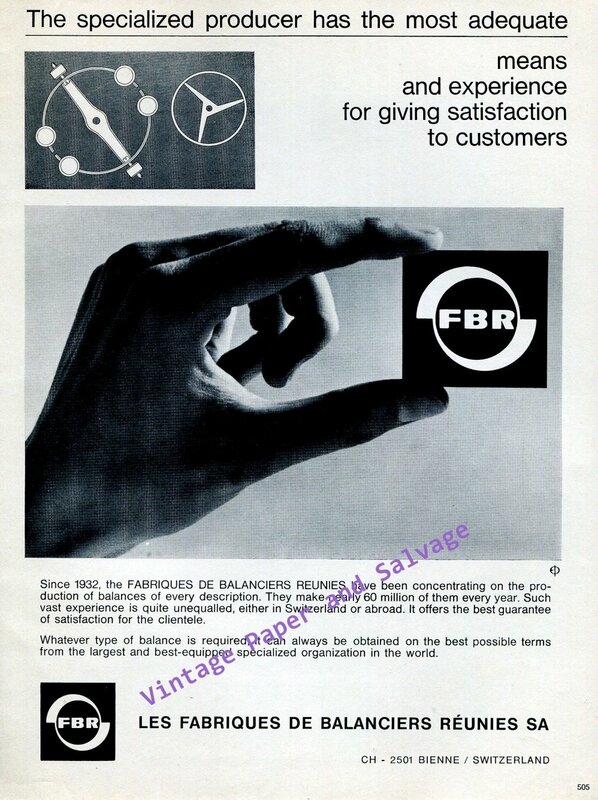 Original Swiss magazine advertisement from the year 1968 for FBR, Les Fabriques de Balanciers Reunies SA, Bienne, Suisse, Switzerland. The advertisement was carefully removed from a Swiss magazine. Please note: there are some bends on the page.